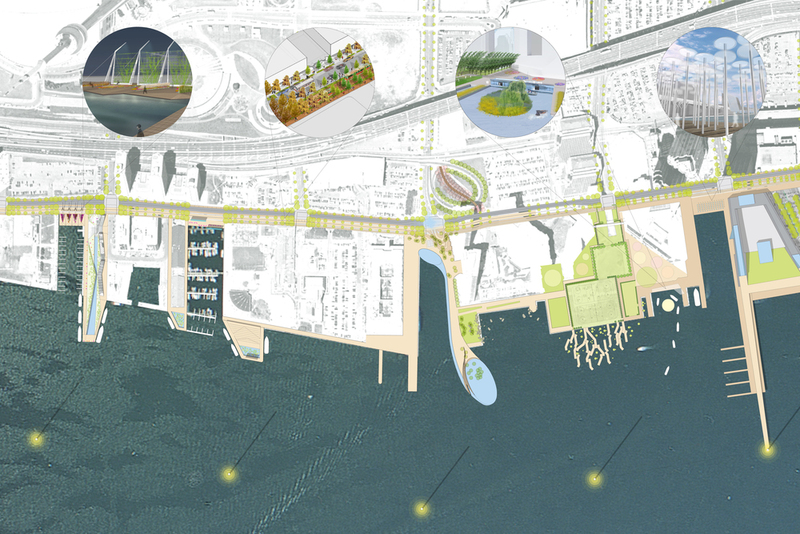 The finalist scheme for the competition to redesign the Toronto Waterfront was inspired by the city of Toronto’s medley of thriving and lively neighborhoods and international population. Instead of a homogeneous master plan we assembled multiple ideas, inspirations, and visions, and crafted a unique waterfront. 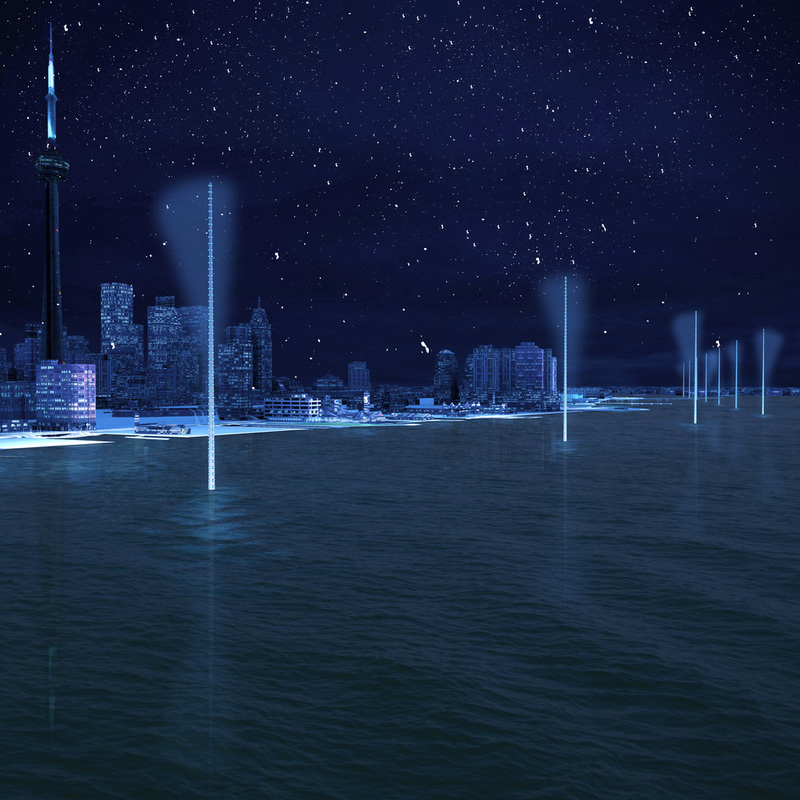 The design strategy was to reach into the city to connect the vital urban energy of its streets and neighborhoods to the waterfront, transporting Torontonians out onto the lake to be in it, on it and surrounded by it. Toronto Waterfront’s weather is cold and windy in winter, and hot and breezy in the summer. 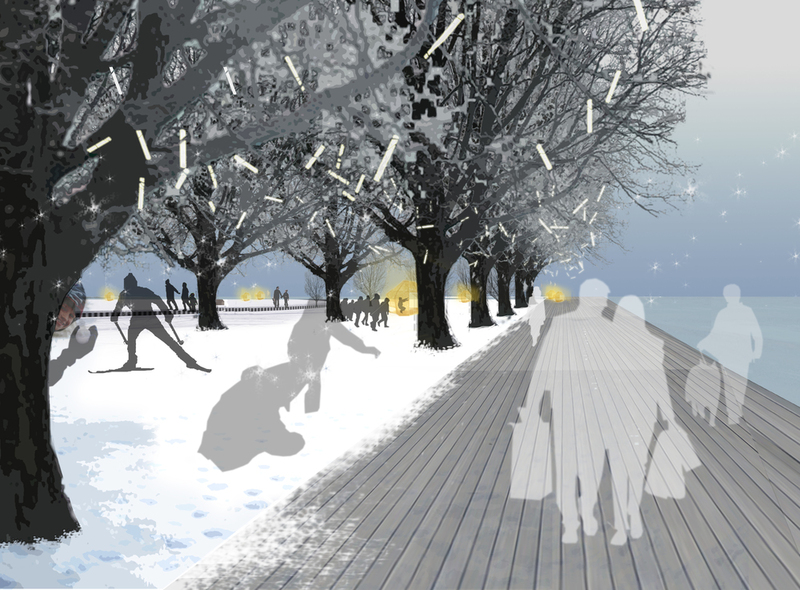 The public spaces we designed reflected and indicated the rhythms and measures of temperature, wind, light and shadow. This makes a vibrant and variable waterfront experience. We proposed a series of gestures that read at the scale of the entire harbor, at the neighborhood scale, and at the human scale. 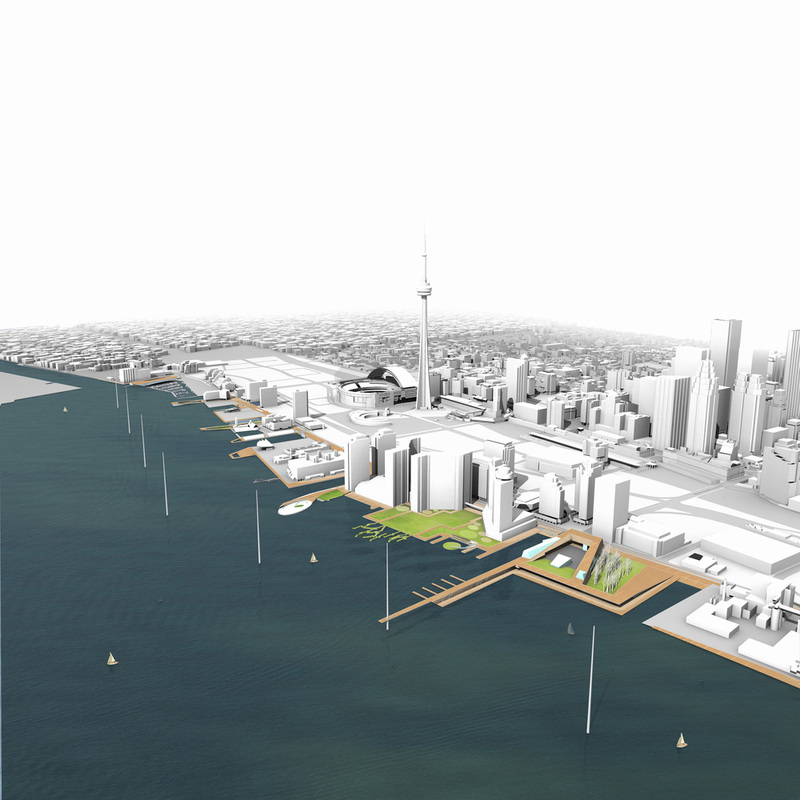 We conceived specific designs and programming ideas for heads of slip, new piers and a new Queens Quay boardwalk that give each place a unique and magnetic attraction and an iconic waterfront. Manhattan, by means of an elastic coastline, could become the most flexible and changing of cities over the next hundred years. Climate Change, with its raised level of waters in the Hudson and East Rivers, will bring about loss of shoreline. MOBIsLEs, a fleet of self-propelled islands that circulate around the periphery of Manhattan, can accommodate incremental change over the short and the long term. Our engineering proposal consists of a kit-of-parts built in a factory and literally shipped to the waterfront, composed of modular strips 50 ft. wide and eight ft. deep for open space and 150 ft. wide and sixteen ft. deep for built space. Through the use of water turbines with generators some of these islands can be self -propelled, others can harness the energy of the water to power their programs. Inspired by the logic of dominoes these modular strips come in 20 profiles that can be reassembled to achieve a variety of topographies. MOBIsles can overlap the coastline where the shore permits or they can link with an urban fabric by means of bridge-like extensions of existing street located at major east-west thoroughfares along the length of Manhattan. These access docks would function as recharging stations both for vehicles and for islands themselves. A green corridor badly eroded through overuse, poor design, and incompetent earlier construction, is not only restored but re-conceptualized through differing levels of intervention. Views along the quarter mile long route are enhanced and smaller spaces for respite and contemplation are created along the way. The scheme creates new nodes that serve as optional trail branches at times, special lookouts at others, fulfilling functions that the original trail never had. It also proposes a loop rather than a climb and descent through the same trail, as a way of thinking through the ongoing reconstruction process and responding to the need to deflect the public's attention from areas under construction. 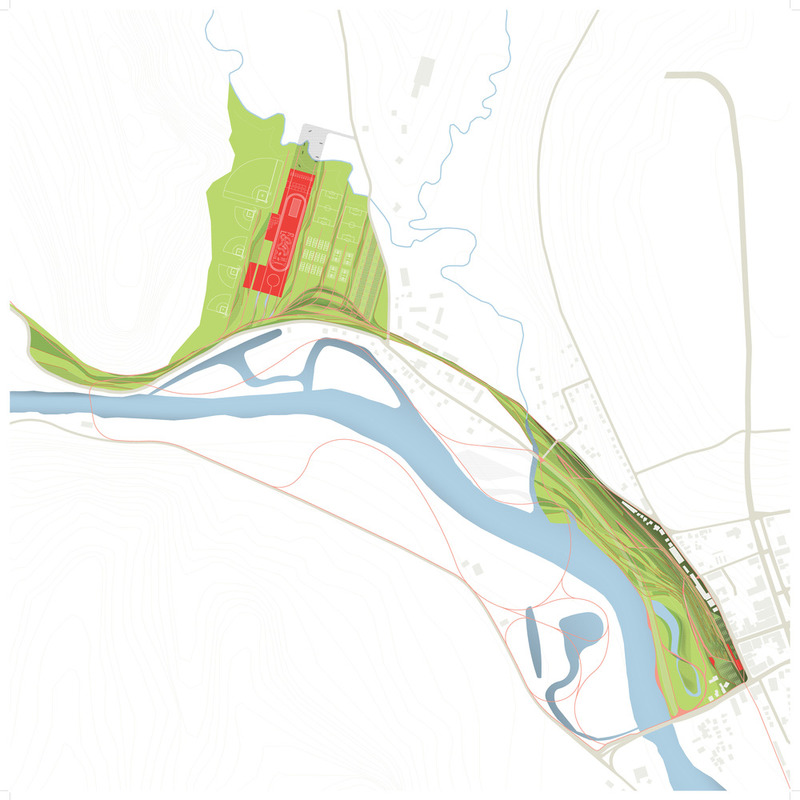 Balmori Associates’ Master Plan for a waterfront park and recreational trail in a quaint, New England town weaves the language of the abandoned railroad spine into the new heart of the town: a waterfront park, a recreational trail, and a new recreational facility for the public and local school systems. Currently the town framework includes an under-utilized waterfront park, an intact town green with local retail, a historic railroad station structure on the site, and a former industrial building available for conversion to new use. 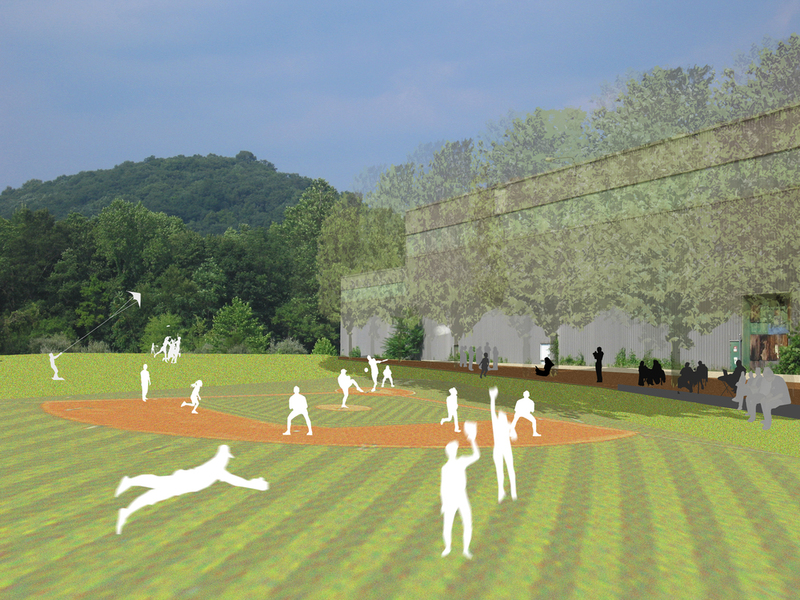 The town has the resources, and Balmori Associates’ proposal envisions a new future with a park as a catalyst for economic growth and a model to direct future development in a positive direction.